. However, for some variants like "king of the hill" or "three check" it will work fine in advisor mode also. 2. Unzip it and load in the bot. 5. 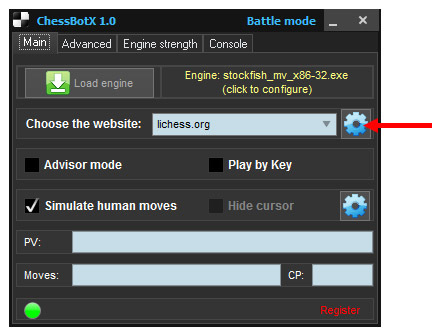 Start bot as usual.
. As you may see, this variant is not included in the list. 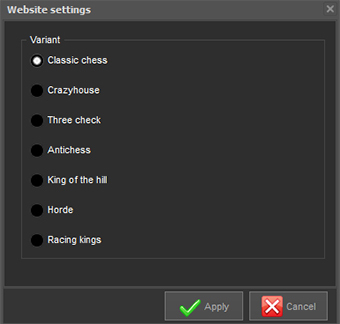 The thing is that this variant basically very similar to classic chess, the only difference is random starting positions (well, castling rules also, but it's not a big deal). Just remember always to make first move manually.